When, in 1990, at the age of 39, I emigrated from the USSR to the United States, I did not know about Elie Wiesel, Anne Frank and other victims — or survivors — of the Holocaust. In fact, I didn’t even know the term “Holocaust.” And not because I was a bad student who failed to learn it in school, but because the anti-Semitic politics of the Third Reich were not covered in our school curriculum and our mass media — not before nor during WWII, nor afterwards. 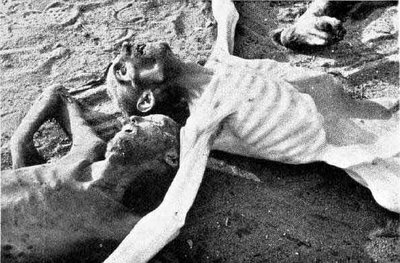 As a result, the atrocities that were well known in the West were hardly mentioned in the East. There, coverage of WWII was dedicated to the bravery and suffering of Soviet troops, and, until 1956, to Stalin’s military genius. So the mass killings of Jews – in Europe and Ukraine — did not qualify. It’s innocent blood reborn and strengthened in a brazen roar. 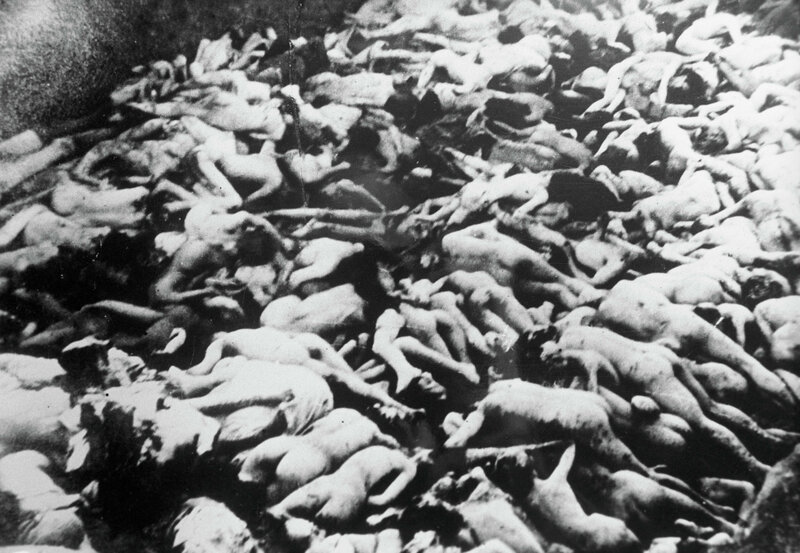 Yet again, we were never told that the main goal of a camp like Auschwitz was the implementation of “The Final Solution of the Jewish Question.” Historians estimate that among the people sent to Auschwitz there were at least 1,100,000 Jews from all the countries of occupied Europe, over 140,000 Poles, approximately 20,000 Gypsies from several European countries, over 10,000 Soviet prisoners of war, and over 10,000 prisoners of other nationalities. Time went by and I learned about the Holocaust, about Anne Frank and Elie Wiesel and others. 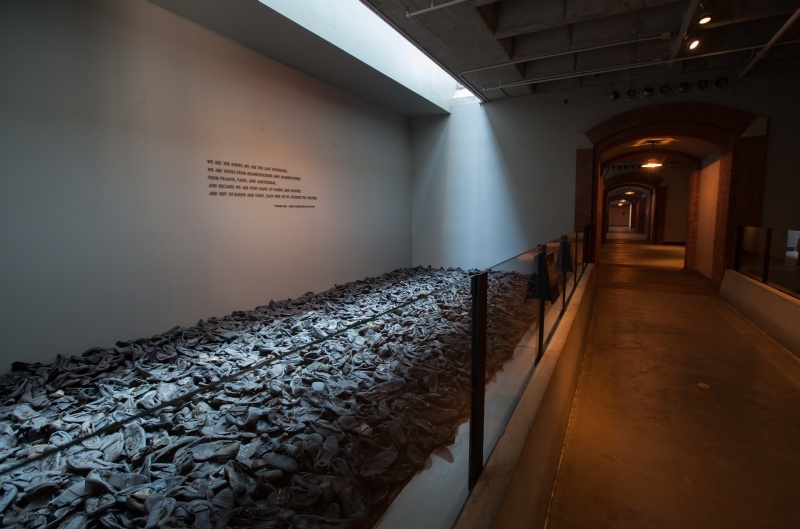 I saw a collection of victims shoes in the United States Holocaust Memorial Museum in Washington (the Nazis confiscated their victims’ belongings and sent valuables back to Germany; the shoes were to be repaired by the camps’ prisoners and reused). And I heard a reading of names of the Jewish children murdered during the Holocaust (1.5 million names in all) in the Yad Vashem Children’s Memorial in Jerusalem, which is housed in an underground cave and lit by candles that, reflected in a system of mirrors, create the impression of millions of little stars. (The complex was built with donations from a family whose two-and-a-half old son was killed in Auschwitz.) And when I was read “Night,” I could hardly keep from screaming; for the way I felt, it all could have happened to me, my parents and my daughter. There are some events so cruel and traumatic that people don’t want to talk about them, even less read about them. In fact, when Wiesel’s “Night” first appeared in print (in Yiddish) in 1954, its publication was hardly noticed. In America, when the book was published in 1960, it wasn’t an overnight success either. Gradually, though, it began attracting more attention, and when, in 2006, Oprah Winfrey presented “Night” to her book club, it became a New York Times bestseller. Wiesel went on to write many more books and to become a Nobel Peace Prize laureate. Above all, he remained a voice for Holocaust victims and survivors – the mission he considered the most important in his life.